My employer lets us set aside pretax money for commuting costs, but I didn't sign up at the beginning of the year. I just moved, and now I take the subway to work. Can I still get the subsidy? How much is it? It's probably not too late. You can usually enroll anytime during the year for this monthly benefit. Contact your employer's benefits department to find out how to sign up. Under the commuter benefits program, you can set aside up to $130 per month pretax for public transportation, such as the subway, bus or train. %VIRTUAL-article-sponsoredlinks%People who drive to work can set aside up to $250 per month pretax for parking, and if you both drive and use public transportation -- if you, say, drive to a park-and-ride lot at the subway or commuter rail station-- then you can take both benefits and set aside $380 per month. Once you enroll, your employer will automatically set aside the money, which won't be subject to income, Social Security or Medicare taxes. You can tell the benefits department to stop setting aside money -- usually for full-month increments -- if, for example, you'll be out of the office for a few weeks. You can then resume the benefits. Keep an eye out for an increase in the commuter benefit limit. In past years, the public transportation and parking subsidies were the same, and Congress may still bump up the public transportation benefits for 2014 to match the parking benefits. 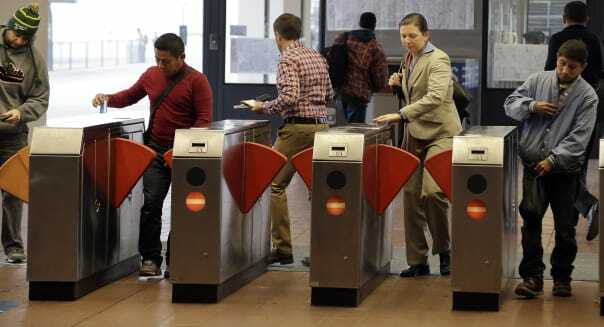 "In the coming weeks, Congress will be determining if and how they will address a tax-extenders package, including commuter benefits," says Dan Neuburger, president of commuter services at WageWorks, which administers pretax benefits for employers. See WageWorks' employee site for more information and updates.